Real-world container security requires users to dig in to the finer points of container, host, Kubernetes and application configurations. is how to make them fully secure within large, multi-tenant infrastructures. For starters, users must make changes to default settings in both Docker and Kubernetes to close potential security loopholes. For example, a default component of a container image, called docker.sock, that’s mounted without proper security tools to control its usage is vulnerable to an attack that can use it to access the host operating system and then back-end databases to exfiltrate data. Similarly, the Kubernetes API’s default setting could potentially let containers access host operating systems through a malicious pod. NCR uses Red Hat’s OpenShift, which restricts the Kubernetes API settings out of the box, but OpenShift users must set up security context constraints, Patterson said. Heroku’s Etienne Stalmans presents on container security at DevSecCon. In general, it’s best to constrain a user’s permissions and each container’s capabilities as tightly as possible and, ideally, configure container images to whitelist only the calls and actions they’re authorized to perform — but this is still uncommon, he added. It’s possible to limit what a container root user can do outside the container or the host on which the container runs, said Etienne Stalmans, senior security engineer at Heroku, based in San Francisco, in a separate DevSecCon presentation. To do this, container administrators can adjust settings in seccomp, an application sandboxing mechanism in the Linux kernel, and configure application permissions or capabilities. Some highly sensitive applications require isolation provided by a hypervisor to remove any possibility that an attacker can gain host access. Vendors such as Intel, Google and Microsoft offer modified hypervisors specifically tuned for container isolation. DevSecCon presenters also touched on tools that can be used to minimize the attack surface of container and host operating systems. Beeline, which sells workforce management and vendor management software, uses an Oracle tool called Smith that strips out unneeded OS functions. “That shrank our Docker image sizes from as much as 65 MB to 800 KB to 2 MB,” said Jason Looney, enterprise architect at Beeline, based in Jacksonville, Fla. Overall, it’s best to drop all capabilities for all container users, and then add them back in as required. Most of the best-known techniques in container security restrict attackers’ access to hosts and other back-end systems from a compromised container instance. But prevention of unauthorized access to APIs is critical, too, as attackers in recent high-profile attacks on AWS-based systems targeted vulnerable APIs, rather than hosts, said Sam Bisbee, chief security officer of Boston-based IT security software vendor Threat Stack, in a DevSecCon presentation. Attackers don’t necessarily look for large amounts of data, Bisbee added. “Your security policy must cover the whole infrastructure, not just important data,” he said. Kubernetes version 1.8 improved API security with a switch from attribute-based access control to role-based access control (RBAC). And most installers and providers of Kubernetes, including cloud container services, now have RBAC Kubernetes API access by default. But users should go further with configuration settings that prevent untrusted pods from talking to the Kubernetes API, Stalmans said. “There is some discussion [in the Kubernetes community] to make that the default setting,” he said. It’s also possible to do this programmatically from container networking utilities, such as Calico, Istio and Weave. But “that means we’re back to firewall rules” until a new default is decided, he said. What are your best practices for container security? The role of big vendors, such as Google and IBM, in HR technology is expanding as their expertise in conversational robotic intelligence powers some of the chatbots used in HR applications. That observation will be evident this week at the HR Technology Conference & Expo in Las Vegas where HR chatbots will be in the spotlight. The tech giants’ relationship to HR chatbots is analogous to Intel’s role with PC makers that slap “Intel Inside” stickers on their laptops. The machine learning and natural language processing (NLP) technologies developed by large technology sellers give chatbots conversational capabilities. “A chatbot stands and falls with the quality of the dialogue,” said Holger Mueller, principal analyst at Constellation Research. “Users will drop and not use [a chatbot] if the answers don’t make sense,” he said. Conference attendees assessing HR chatbots, in effect, make two bets on any one application. They not only evaluate the HR application but also the capabilities of the vendor that built the underlying, AI-related chatbot technology, whether it’s from Amazon, Microsoft, IBM, Google or some other provider. This technology is key “for the whole solution to work,” Mueller said. A chatbot stands and falls with the quality of the dialogue. Earlier this year, Google, for instance, announced general availability of its Dialogflow Enterprise Edition. This is Google’s platform for creating voice and text conversation and is based on its machine learning and NLP development. Google’s technology was adopted by Brazen Technologies, which provides online hiring chat events and a recruiting platform. In late August, Brazen announced a “conversational recruiting” capability based on Google’s system, which provides the underlying chatbot intelligence. The chatbot conversational capability is assisted by human recruiters who prewrite answers to expected questions that a candidate might ask. The system also conducts an initial screening to try to find qualified people, said Joe Matar, director of marketing at Brazen. He expects the capabilities of conversational HR chatbots to improve rapidly, but it will be a long time before they replace a recruiter’s core skills, such as relationship building, he said. LEADx, which is announcing its learning platform at the start of the HR Technology Conference, is using IBM Watson in its product, Coach Amanda. Coach Amanda aims to improve managerial skills with the help of a virtual trainer. The system uses the Watson Personality Insights module, as well as its natural language conversational capabilities. The Insights program diagnoses personality to help shape the chatbot response, as well the answers and learning materials it delivers to the manager, said Kevin Kruse, founder and CEO of the firm. Kruse said it works like this: A user can type or speak to the chatbot and ask, for instance, “What is the definition of employee engagement?” The manager may follow with a question about seeking tips on employee engagement. The chatbot answers these questions with material from a resource library based on what it knows about the manager. The underlying IBM NLP technology has to figure out what the manager is asking about. Is the question about an employee problem? Is the manager seeking advice? Or, said Kruse, is the manager seeking a resource? But not all firms use big vendor chatbot platforms to power HR chatbots. HR chatbots will be in the spotlight at this year’s HR Technology Conference & Expo. Jane.ai is designed to make all of a company’s information available, whether it is in a PDF or spreadsheet or resides in applications such as ServiceNow, Workday, Salesforce or among team members. HR is one of the major uses of the application, and that’s why this firm will be at the 2018 HR Technology Conference. SearchHRSoftware is the media partner for the conference. David Karandish, founder and CEO of Jane.ai, said the system was developed in-house but also used some open source tools, such as software in Stanford CoreNLP, which provides a suite of language tools. Jane.ai developed proprietary algorithms to make matches and mine documents, he said. An employee can use the chat system, for instance, to check vacation time or ask a question about HR policies. It can put in an IT ticket or schedule a meeting with staff. The firm is up against the large IT vendors in AI-related development, but Karandish said the big vendor HR chatbots weren’t necessarily designed to solve a business problem. That’s why Jane.ai went with the in-house approach, he said. “A lot of companies are coming out with cool tech, but they haven’t figured out how to actually go solve real problems with it,” Karandish said. We view our more than 7,000 agents as our best asset and our competitive advantage. They are some of the most knowledgeable people in the industry—we operate in approximately 113 offices across New York City, Long Island, The Hamptons, Westchester, Connecticut, New Jersey, Florida, California, Colorado, and Massachusetts. And we are one of New York City’s top real estate firms ranked by agents with $10 million-plus listings. Yet, when I arrived two and a half years ago, many agents were worried about technology somehow replacing them. I reassured everyone in our sales offices that Douglas Elliman had a new mission: to improve, enhance, and elevate the agent experience. Today, we use Office 365 to show that we care for our agents more than anything else. And agents have gone from saying that IT kept them from working to their best ability to IT being the reason they now are. Technology is often a solution to modern HR challenges, but HR executive Robin Schooling was quick to point out that tech can also be a problem for employees without equal access or related skills. Schooling, who is vice president of HR at Hollywood Casino in Baton Rouge, La., will speak about the digital divide in the U.S. at the forthcoming HR Technology Conference in Las Vegas. SearchHRSoftware is the media partner for the conference. In a preview of her remarks, Schooling outlined the challenges and explained why her three-person HR team sometimes takes an old-school, hands-on approach to everything from training to benefits enrollment. This interview was edited lightly for brevity and clarity. When you talk about the digital divide in the U.S., what do you mean? Robin Schooling: The tendency is to think, as we automate more and more things, that people and job seekers are just going to go right along with all of it. We think that all job seekers or employees have the same level of technology at their disposal. We think the knowledge base is there and that they have the sophistication to go along with the online journey, from job searching to applying for jobs to the onboarding programs. And then, once they’re in-house, they’re ready for any online training. We’re sort of assuming everybody in the workforce is at a desk in a high-rise and that technical knowledge is at [their] disposal. There is an entire group of workers and industries that I fear are getting left further and further behind. It’s the technology haves and have-nots. How does email play into the digital divide in the U.S.? Schooling: In my particular world, I have less than 20% of my employees who have work email or access to network drives. They are not at a desk; they are on the floor in front of customers, and they don’t use technology day to day in their jobs. So, they don’t have company email addresses. If you go back further, a lot of my job applicants don’t have personal email addresses. I probably have, on average, two people a week we talk to who apply for a job using somebody else’s email address. We discover when get hold of them they never got our email and that the person whose email address they used ‘didn’t let me know it came.’ Or, people make up email addresses. As we talk to people, we find out there truly are people who just don’t have email. It’s not an age thing. I see people who are 22, and I see people who are 70. We get a lot of calls. [When we get a resume emailed to us,] we have auto reply, but sometimes it goes to a spam folder, and they don’t know how to check a spam folder. We have applicants who don’t have desktops or tablets. Their phone is it. And they don’t know how to navigate email addresses even if they have email. Instead, we get a lot of calls. It’s like 1989. So, we’ve tried things with texting. We’ve tried a cellphone call. But it gets back to the low-wage, entry-level worker with a pay-as-you-go phone. They tried to apply, but we can’t reach them on it. It’s a challenge. I don’t know the answer to the problem. But we have to look at finding multiple ways to connect with people on the applicant side. There’s a digital divide in the U.S., but change has to start somewhere. What are you doing in the office to help the tech have-nots? Schooling: As we have automated, we enhanced some of the offerings through the system we have for our employees, because we don’t have folks who sit at a desk. We can put things out in the cloud to our employee self-service portal, but we’re still struggling with employees getting access if they’re doing it through their phone. We have banks of computers in the break room, but many employees have challenges accessing them. They don’t know how to use a keyboard or a mouse. That still exists. Everybody doesn’t work on the East or West Coasts, and we’re not all on Slack. And it’s not just the tech providers [that contribute to the digital divide in the U.S.]; it’s the HR service providers. Every year since I’ve been here, as part of our wellness initiatives, we have a third party come in and do biometric screenings. You get a checkup and sit with a nurse practitioner who logs you in to your account. We do this so that we get you into this wellness tracker for follow-up steps. In order to do that, you have to set up your own account, and that requires an email address and two-factor authentication. Here’s the challenge: I’ve got a good 30 employees that do not have a personal email address. They may have access to their mothers’ or their wives’ or their sisters’ [email addresses]. I told the vendor that people coming in can’t set up an account because they do not have a personal email, or they are using a family member’s [email] who is not there to do two-factor authentication. How do we do that? How do we serve those people? The provider didn’t quite believe me. We know the people that don’t have email. How do we solve this? As an HR team, what we do for our population is we try to help people as much as we can to set up accounts. We spend quite a bit of time amongst the team going to Gmail to set up an account and set it up on their phone for them. We try to help them create passwords and show them how to remember where it’s stored. It’s a challenge to do this one-on-one to help our folks as much as we can, but I think it’s important. In my particular world, I have less than 20% of my employees who have work email or access to network drives. It’s like old-school HR. It’s very hands-on and in your face. If you have a small or midsize business and your workforce is all in one place, what you can do there is kind of what we do. It’s handholding and bringing along one person at a time. Sometimes, it’s even just stopping and asking: If we are going to communicate something or expect an employee to go to a website to accomplish something for a job, are they equipped to do that? When we think about the digital divide in the U.S., what can be done to help narrow it? Schooling: This is an issue that worries me. We are just getting further and further away from thinking about those people who need to find jobs or are working hard, but are sitting in companies that don’t realize that perhaps there are folks being left behind. These are people who can’t do a really cool learning module on their phone. I have people that are not hipsters — they have a flip phone, but don’t have a data plan. And if there is Wi-Fi, they need to have someone show them how to hook up. They can’t sit at home and do onboarding videos or learning snippets. At the end of the day, I’m thinking about it from [different] sides. Are the vendors remembering when creating products to include the whole audience? Are HR practitioners aware that you need to do more than meet them where they are, but actually bring them with you? And it’s important to remember it’s not a generational thing. Some folks coming out of school, college grads even, find themselves in this boat. They come from low-income families, and they’ve gotten higher ed, but they struggle with the access to the tools and the tech and the knowledge of how to use them. Asia’s elusive and endangered Snow Leopard. Photo: Peter Bolliger. LAS VEGAS — Today, VMware paints vSAN hyper-converged technology as a key piece of IT everywhere, from the data center to the cloud to the edge. But early vSAN customers remember when it was still a nascent concept and not fully proven. As a customer panel at VMworld 2018, vSAN hyper-converged software users offered advice for buying and implementing what, in some cases, was still a suspect technology when they adopted it. The customers were split between using vSAN on integrated appliances, such as Dell EMC VxRail hardware, or buying on servers as vSAN Ready Nodes. Either way, they faced similar buying decisions and implementation challenges. Here is some of the advice offered for going down the road of vSAN hyper-converged and hyper-converged infrastructure (HCI) in general. Several of the vSAN hyper-converged customers said it was difficult to gain support originally for moving from a traditional three-tier architecture to HCI. It helped to start with a specific use case to prove the technology and then grow from there. William Dufrin, IT manager of client virtualization engineering and architecture at General Motors, said the early case was virtual desktop infrastructure (VDI). Dufrin said General Motors now has around 10,000 virtual desktops running on a six-node cluster, with two fault domains for availability. Mark Fournier, systems architect for the United States Senate Federal Credit Union in Alexandria, Va., said his bank started with vSAN Ready Nodes in remote branches. The HCI implementation came around the time USSFCU began virtualizing in 2014. Fournier said the credit union put Ready Nodes on all-flash blade servers in three branches. He said a four-node all-flash implementation in one branch is so fast now that some of his organization’s developers want to move workloads to the branch. “With the new PowerEdge M7000 from Dell, options for onboard storage are more flexible, and [it] allows us to bring vSAN out of the branches and into the data center now that management sees the benefit we get out of it,” Fournier said. The panelists said they did a lot of research before switching to HCI and picking a vendor. They evaluated products from leading HCI vendors, different offerings from the same vendor and compared HCI to traditional IT before making buying decisions. Mariusz Nowak, director of infrastructure services at Oakland University in Rochester, Mich., said cost played a large role — as is often the case with educational institutions. Oakland University was a VMware customer since 2005, and Nowak said he looked at early versions of vSAN hyper-converged software, but felt it wasn’t ready for the university. After VMware added more enterprise features, such as stretch clusters, deduplication and encryption, Oakland installed the HCI software in 2017. It now has 12 vSAN hosts, with 400 guest virtual machines and 350 TB of storage on vSAN Ready Nodes running on Dell EMC PowerEdge servers. I was sick and tired of replacing entirely every traditional storage array every few years and begging for new money, hundreds of thousands of dollars. Alex Rodriguez, VDI engineer at Rent-A-Center, based in Plano, Texas, said his company did a proof of concept (POC) with Dell EMC VxRail, Nutanix and SimpliVity — since acquired by Hewlett Packard Enterprise — when evaluating HCI in 2016. He said price and vendor relationships also figured in the final decision. Several of the panelists suggested using clusters or stretch clusters with vSAN hyper-converged infrastructure to help separate workloads and provide availability. Nowak said Oakland University installed 10 nodes in a stretched cluster across two campus data centers, with 10 Gigabit Ethernet uplinks to a witness site connecting them. Rent-A-Center’s Rodriguez set up a four-node cluster with management applications and a 12-node cluster for VDI and other applications after installing Dell EMC VxRail appliances in 2016. Algolia, which offers search technology for websites and mobile apps, has launched a partner program targeting systems integrators, consultants, digital agencies and e-commerce platforms. Algolia partners include Accenture Interactive’s Altima business unit, digital agency Wunderman and e-commerce platforms Magento and Shopify. At launch, the Algolia Partner Program has 20 certified partners. The program aims to create an ecosystem of Algolia partners that can help enterprises customize Algolia search technology, according to the company. The program’s launch follows rising interest among customers in working with partners, said Alexandre Popp, director of channels and alliances at Algolia. The partner program is part of the company’s enterprise customer initiative. “Our motion to move upmarket comes with partners and multinational brands purchasing our product in tandem with partner solutions, and deployed with consulting firms’ team[s],” Popp said. He noted the program’s objective is to support partners as they “build or sell digital products” that embed Algolia. Algolia’s partner program offers technical enablement and certification; go-to-market and sales enablement; and marketing support, including co-marketing events, webinars and campaigns. The company, founded in 2012, said it has more than 5,700 customers. Cloud service providers Faction and 2nd Watch rolled out new services this week. Over the past year, we saw increasing demand from enterprises to leverage the support of partners like systems integrators, consultants and agencies. Faction, a Denver company that focuses on multi-cloud services, said it is working with VMware to provide cloud-attached storage for VMware Cloud on AWS deployments. Faction said its Cloud Control Volumes offering provides a scalable storage platform for VMware Cloud on AWS customers who need more storage capacity. Meanwhile, 2nd Watch, a managed service provider based in Seattle, said its Cloud Migration Cost Assessment service aims to help large and midmarket firms get a handle on the cost benefits of moving on-premises IT infrastructure to the cloud. The cloud migration assessment involves a six-week engagement in which 2nd Watch cloud personnel evaluate a customer’s IT estate and “map current resources to the most cost-effective cloud solution,” according to the company. Silver Peak launched its Authorized Deployment Partner (ADP) Program, which will train, certify and authorize a group of services partners. Partners receiving authorization are deemed capable of managing the design, deployment and management of the Silver Peak Unity EdgeConnect SD-WAN offering. Program participants include Cavell Group, FireOwls Corp., Geode Networks, Traversa Solutions and Velociti. Arcserve, a data backup and availability vendor based in Minneapolis, unveiled a new channel program dubbed Arcserve Accelerate. The program targets North American MSPs, value-added resellers, large-account resellers and original equipment manufacturers. Program features include re-developed e-learning courses, partner certification, individual and corporate SPIFs, marketing development funds and access to cloud-native products with support for private and public clouds such as AWS and Microsoft Azure, according to Arcserve. Matrix Integration, an IT infrastructure company in Kentucky and Indiana, has opened its new Louisville regional office. The company said the expansion provides a hub for modernizing the IT infrastructure of public and private sector entities in the Louisville area. Microsoft is offering new security tools to political campaigns — some measures with a level of technology usually reserved for government and big corporate customers — as it expands its efforts to stifle hacking attempts from foreign entities. The Redmond company announced late Monday a new set of tools, called AccountGuard, that will closely watch hacking attacks and attempts made against campaigns, and notify their staff when threats occur. Microsoft will also offer training for staffers on how to make accounts more secure, and let them test new security tools “on a par” with the features Microsoft sells to government and corporate clients. The AccountGuard services will be included for free to campaigns, candidates, think tanks and other political groups that are Office 365 customers. The service is the newest part of Microsoft’s Defending Democracy program announced this spring, which aims to make elections secure. Microsoft pointed to the need to expand security efforts, saying it seized six website domains last week, with the help of a court order, that belonged to hacking group Fancy Bear. The group is believed to have ties to the Russian government and was behind the 2016 hack against the Democratic Party. That group and others like it use domains such as senate.group and office365-onedrive.com to give the appearance of a trusted organization when they send out phishing emails. The emails could be used to obtain passwords and infiltrate political organizations. So far, Microsoft has shut down 84 of these fake domains set up by Fancy Bear in the past two years. The company also revealed last month that it thwarted two attempts last fall by hackers trying to get inside two Senate candidate campaigns, including Missouri Democrat Sen. Claire McCaskill’s. 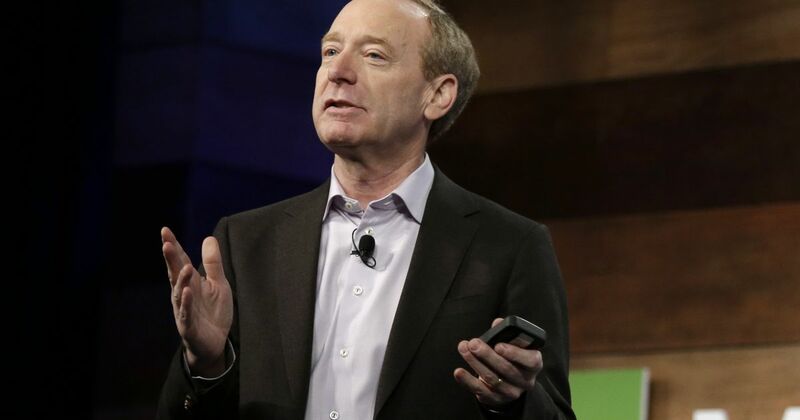 The number of hacking attempts has ticked up as midterm election campaigns get underway, Microsoft President Brad Smith wrote in a blog post Monday. It’s widely believed the threats aren’t as numerous as they were during the 2016 elections, but cybersecurity executives say they are still serious. “We can only keep our democratic societies secure if candidates can run campaigns and voters can go to the polls untainted by foreign cyberattacks,” Smith wrote. During a White House meeting about the new Blue Button 2.0 API for Medicare, six major technology players signed a joint statement pledging to work toward healthcare interoperability with a particular focus on the cloud and artificial intelligence. The companies — Amazon, Microsoft, Google, IBM, Oracle and Salesforce — promised to support the goal of “frictionless” interoperability using established industry standards, including the HL7 FHIR standard API. They offered a vision of a robust ongoing dialogue that would include every healthcare entity from payers to patients and application developers, according to a statement released by the Information Technology Industry Council. The statement comes at a time when patient demand for easy access to healthcare data has never been greater. Large hospitals have responded with nascent efforts to improve data exchange based on the FHIR standard API, but there is widespread acknowledgement that healthcare lags far behind other industries when it comes to tech innovation and particularly interoperability. The idea of what could effectively be a consortium of mainstream technology companies working on this tricky problem and promoting the FHIR standard was received warmly by some this week and with a healthy dose of skepticism by others. I’m not sure how any of these entities will solve the issue of semantic interoperability. The joint statement offered few details on future plans but stressed the need to get everyone involved, including the open source community. “I think we will need to wait a few weeks to hear specific projects to know what additional impact they will have,” Huff said.